Amenities are the star of this 279-unit, 751-bed off-campus student housing complex, accounting for almost 25,000 sf of space. Located across the street from Indiana University's Memorial Stadium, residents and visitors are met with an eclectic esthetic and muted color palette that caters to the targeted academic demographic. Large, open spaces with detailed vignettes and curated local art can be found throughout the property. 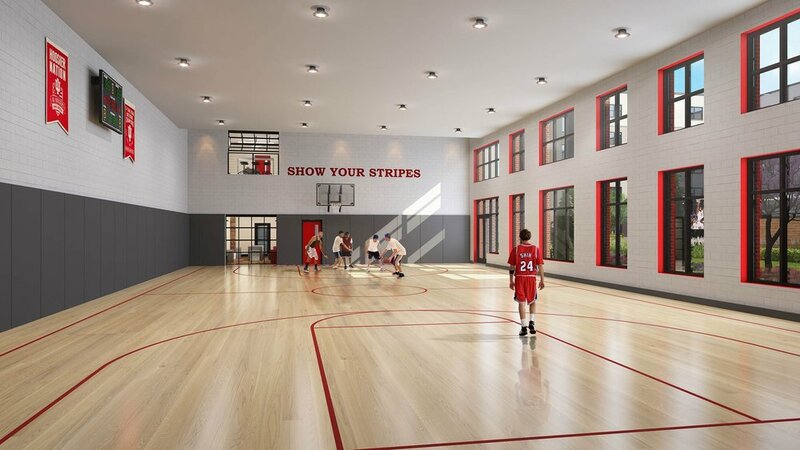 Interior amenities include a two-story game day room that overlooks into the full-sized basketball court, fitness center, coffee bar, study booths, sauna, zen room and community lounge with flexible seating options. The exterior pool deck includes adjacent grilling area, paddle ball court, hot tub and courtyard with jumbotron.